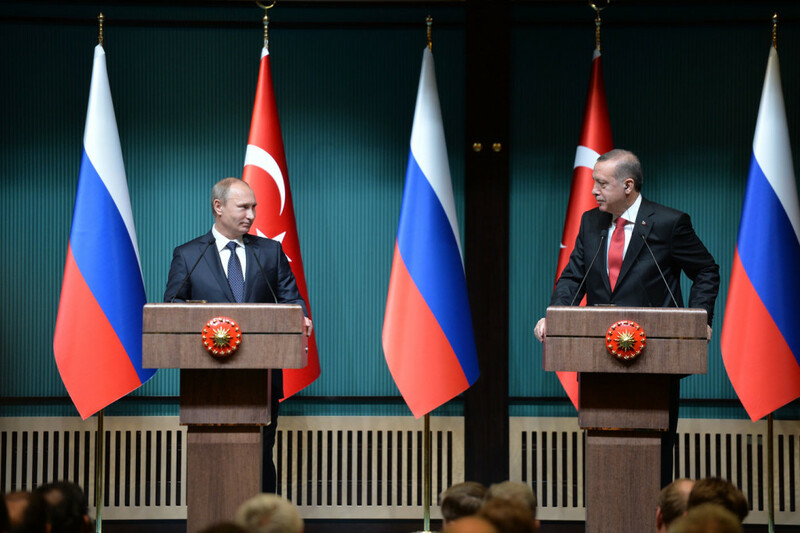 Russia and Turkey: cooperation or conflict? A Turkish apology has restored relations with Russia. What’s next for these crucial regional players? An apology by President Erdogan over Turkey’s downing of a Russian jet last year has begun to restore relations. The restoration of ties comes as both powers find themselves increasingly isolated from the international system and surrounded by turmoil. Yet in the case of Russia and Turkey, a burden shared may be a burden doubled. Post-Cold War Russian-Turkish relations have been a strange mix. On the one hand, the two states have taken opposing sides on a range of political issues, including the Balkans wars, Caucasus conflicts, and Middle Eastern foreign policy. On the other hand, they have enjoyed extremely close economic relations. With complementary, geographically proximate economies trade between the two has boomed, with natural resources, military hardware, and nuclear technology being exported from Russia in exchange for agricultural produce, industrial goods and textiles from Turkey. Russian gas exports sustained energy-hungry Turkey, while Russian tourists and ‘luggage traders’ (individuals engaged in unofficial cross-border trade) took advantage of visa-free travel, adding billions to the Turkish economy. This $31 billion bilateral trade relationship came to a shuddering halt in November 2015. Russia and Turkey back different factions in the long-running and bloody Syrian civil war. Russia supports the Assad regime, its principle ally in the Middle East, while Turkey is part of a coalition providing aid to anti-Assad forces. After the Syrian army shot down a Turkish fighter plane in 2012, Turkey positioned anti-aircraft systems along its southern border with Syria, effectively creating a 20-kilometre no-fly zone for Syrian government forces and providing shelter to Assad’s opponents. Russia’s military intervention in September 2015 compromised this arrangement as Russian warplanes bombed the area with impunity, daring a Turkish response. 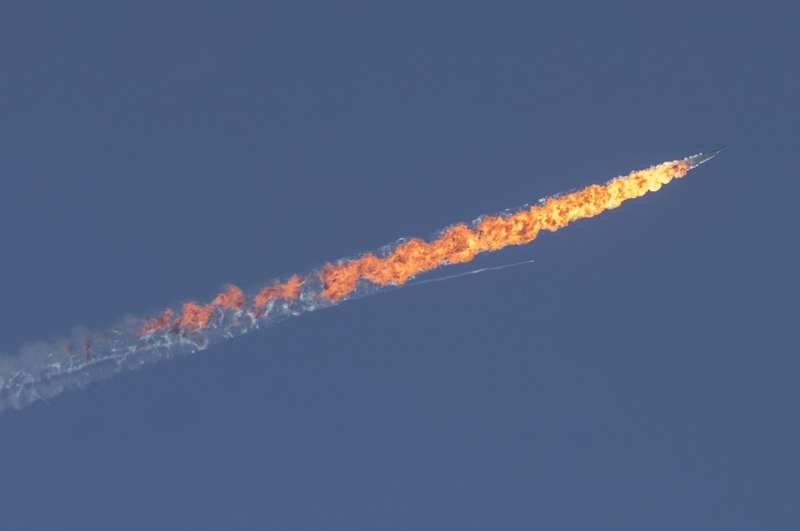 On November 24, Turkey called Russia’s bluff and shot down a Russian attack jet near the border. One of the Russian pilots died and a Russian commando was killed trying to save another. Ankara alleges the jet had been within Turkish airspace, in keeping with a pattern of similar Russian violations of Turkish territory. Moscow denied the accusation and Putin described the incident as “a stab in the back delivered by the accomplices of terrorists”. President Erdogan refused to apologise for the collision. In response, Moscow imposed comprehensive economic sanctions on Turkey. 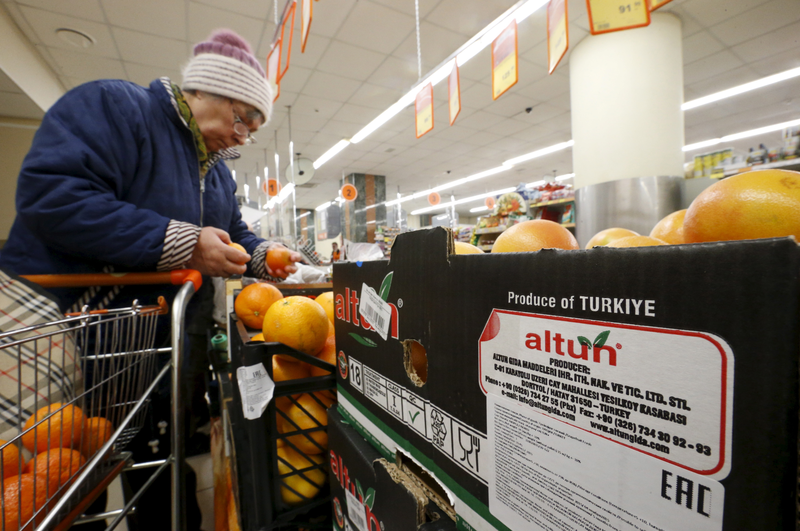 These included suspending visa-free travel for Turkish citizens, limiting the activities of Turkish construction firms in Russia, and placing restrictions on imports of Turkish agricultural goods. Russian tourists were discouraged from visiting Turkey and the Russian Duma passed a law making the denial of the Armenian Genocide – a historical event long rejected by Turkey – a criminal offence. Turkish economist Erhan Aslanoglu estimated the short-term impact on Turkey’s economy at $10 billion. The incident came at a challenging time for Erdogan. His Justice and Development Party (AKP) had just been returned to government in a second election after the first produced a hung parliament. The AKP’s campaign had targeted the country’s Kurdish minority to draw votes back from the far-right, prompting a resumption of the decades-old conflict with the PKK, which had been quelled by a 2013 ceasefire. The ongoing Syrian civil war and resultant migration crisis further stretched the resources. The confrontation with Russia and resultant economic sanctions added a layer of complexity to Erdogan’s external political calculations. The break in relations was not welcomed in Moscow either. Its intervention in Syria had put it at odds with most countries in the Middle East while its annexation of Crimea provoked Western sanctions. Meanwhile, the price of oil – the crucible of the Russian economy – was in freefall, further compounding the impact of the suspension of trade with Turkey. It came as no surprise then, when Turkey and Russia set about mending relations late last month. Erdogan expressed regret over the incident and the two sides began to discuss establishing closer diplomatic relations. Turkey has communicated its preparedness to compensate the pilot’s family and Moscow has lifted its tourism ban and sanctions. But these steps may be undone as current events overtake them. The April eruption of fighting in Nagorno-Karabakh could impact fragile Russian-Turkish relations. The long-time territorial dispute turned between Armenia and Azerbaijan is a potential flashpoint that could draw in Moscow and Ankara. Russia appears to have an interest in maintaining the frozen conflict’s status quo, regularly supplying arms to both countries. Turkey strongly backs fellow Turkic-state Azerbaijan against Armenia, a country with which it has historical grievances. Although all sides currently support a ceasefire, there are constant claims of violations. A full-scale resumption of hostilities could put Russia and Turkey at odds again. However recently, both countries and other powers have been involved in a flurry of diplomatic activity aimed at pacifying the conflict. Turkey’s NATO membership could also prove problematic. NATO’s expansionist foreign policy, ballistic missile defence shield in Europe – which includes a radar system in Malatya, Turkey – and decision to deploy four battalions to eastern Europe are all considered threats by Moscow. While these developments are likely to pose significant challenges to the relationship, the reassurance Ankara derives from NATO membership (it immediately turned to the alliance after the November 24 incident) substantially outweigh the penalties it incurs in its relations with Russia. On the other hand, the triple suicide bombing at Istanbul’s main airport on June 28, which killed 45 people, could be a catalyst for cooperation. The alleged mastermind, Akhmed Chatayev – a Chechen militant responsible for training Russian-speaking members of ISIS – has long been wanted by Moscow. Chatayev’s involvement highlights the common terrorist threat both nations face, particularly regarding jihadist militants spreading their war from Syria abroad. There are already signs of impending cooperation in this area, with Turkey’s Foreign Minister quick to raise the possibility of partnering with Moscow in the fight against terror in the aftermath of the attack. Closer ties with Russia will also help Turkey counterbalance US foreign policy in the Middle East, which has diverged from Ankara’s agenda in recent years. Since 2011, Turkey has consistently advocated stronger action against Assad, a call Washington has repeatedly ignored. Ankara has also expressed outrage at direct US support for Syrian Kurdish groups. In turn, Washington has, in the past, been critical of Turkey’s support for some Islamist militias that oppose Assad. By rejuvenating ties with Moscow, Turkey has eased tensions on a front where it most required US assistance, enabling it to pursue a foreign policy agenda more independent of Washington in other areas. For Russia and Turkey, the real question is, where to from here? While an improvement in economic ties is eagerly sought by both sides, the initial cause of the crisis – their contrary positions on Syria – persists. Collisions over the future of Assad, Nagorno-Karabakh, or NATO’s activities all remain potential threats. 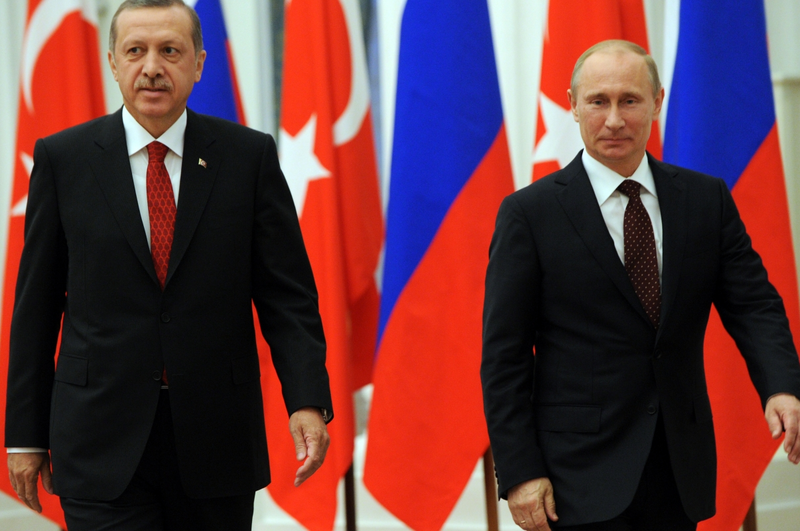 Ankara and Moscow will have to work hard to maintain their bilateral ties if they hope to avoid another crisis.